"How is an appreciation of our forgiveness and justification in Christ a basis for our fellowship and community with brothers and sisters?" Hello, and thank you for joining us for another edition of the Sabbath School Study Hour. We are always so encouraged to be able to know that there are people that are watching from many different nations in the world as well as across the United States of America. Welcome to each and every one of you when we trust that today's message and today's study will be a blessing to you, it will help grow your faith if you have a faith, and if you don't have a faith in God and in Christ right now that this lesson might be your first step or one of your important steps to be able to find that faith and hope that's found in Christ. We are always happy to have everybody that's joining us here locally in the Granite Bay Seventh-day Adventist Church here in Sacramento, California. Welcome to all our members and our visitors, they're with us here live, and it's always a blessing to have both members and visitors with us. 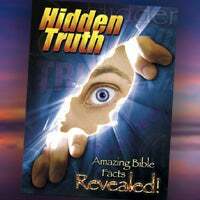 Now before we invite our singers out today, and we praise the Lord in song, we want to always offer you our free gift, each and every edition of Sabbath School Study Hour, and so today, we're going to be given away, "hidden truth," and this is free offer number 832, "hidden truth." We're happy to be able to offer this to you. We know that many people have been blessed by reading through that and have discovered many important Bible truths. You just have to dial 1-866-788-3966, again, that's 1-866-788-3966, and ask for your free offer. Now if you would like a digital download of that, you can use your phone today, and you can text, "sh109," again, that's, "sh109," and you text that to 40544, and we'll be happy to make sure that you get a digital copy of that downloaded for you to read and to continue to grow in faith and in truth. And so we'd like to invite our singers forward as they share with us and lead us in praise. Holy, holy, holy! Lord God almighty early in the morning, our song shall rise to thee holy, holy, holy, merciful and mighty God in three persons, blessed trinity Holy, holy, holy! Angels adore thee casting down their bright crowns around the glassy sea thousands and ten thousands, we shall low before thee which were and art and evermore shalt be Holy, holy, holy! Though darkness hide thee though the eye of man thy great glory may not see only thou art holy, there is none beside thee perfect in power, in love, and purity Holy, holy, holy! Lord God almighty all thy works shall praise thy name in earth, and sky, and sea holy, holy, holy, merciful and mighty God in three persons, blessed trinity Father in Heaven, we stop, and we thank you for the opportunity to be able to study, we thank you for the Holy Spirit that is promised when we ask for it from our hearts. Lord, that you might be our teacher, that you might guide us and give us understanding, spiritual understanding that can only come from your throne. We thank you, Lord, for Pastor Doug Batchelor. We pray that you will bless him and guide his heart, his mind as he shares that which you have taught him from Your Word. And Lord, we want to pray that you will help us to be able to pick up and understand what you would have us understand today, and so we pray for your blessing. In Jesus' Name we pray, amen. Thank you. Pastor Batchelor. We're going to be studying a very interesting lesson today, but I don't know that we're going to have time to cover it all because our lesson is talking about, "unity in faith." It's in our quarterly dealing with, "oneness in Christ," and we're talking about some of the panorama of doctrines that we are united on. Now our church publishes a book of 27 fundamentals. We don't have time to go through all 27 fundamentals, but we're going to be talking about the tennis topics. Have you guys ever heard of the tennis topics before? Now that's a play on words. You think I'm saying tennis like tennis ball or ping pong or something. I'm saying 10-s topics. It is the 10 s's. If you want to take a picture of this screen, those of you that are watching at home, you could do it here too. These 10 s's, sometimes they are called the tennis topics, these 10 s's summarize what a good evangelist is going to cover, and it summarizes some of the unique beliefs of Seventh-day Adventists. Let me go through it for you real quick. It's Scripture, satan, sin, salvation, Sabbath, state of the dead, sanctuary, spirit, strength, second coming. Those are the 10 s's, or the tennis topics. Those 10 topics, of course, let me review what they are. Scripture is the Bible, foundation of what we believe. Satan, the origin of evil. Why is there sin in the world? Salvation is the everlasting Gospel. Sabbath is of course the distinct truth about the Sabbath as opposed to Sunday. State of the dead that helps people understand that sleep, and you don't go right to heaven or hell when you die. You can also include the millennium, it sort of fits in there as well. The sanctuary, and that's a special teaching of the judgment, and the ministry of Christ in heaven, and the church, actually, the sanctuary as well. the Spirit, that's the Holy Spirit, the need for the baptism of the Spirit, and also the Spirit of prophecy. And you got strength, that's the health message and sustenance. And then you've got the second coming which is the return of Jesus. So those were the tennis topics. If you're a good adventist, you ought to know how to give a Bible study on the tennis topics, 10-s topics. It just helps you memorize them, and it kind of covers a panorama. Now that's not the whole 28 fundamentals, but, you know, you can almost fit the 28 somewhere under these categories. And so, if you're a Bible Christian, does it mean that all Bible Christians in the church need to agree on every point of doctrine? The fundamentals. We need to be in agreement. Now how many of you have run into differences in people wondering about the 144,000? Is it symbolic? Is it literal? Are they alive today? You run into that? And if someone doesn't agree with me, should I excommunicate them on that or it depends on what they believe? You can go way out there. But there are certain fundamental beliefs that, you know, we must be in agreement on. And, you know, if you start talking to five evangelists about who the 10 horns are in Revelation 17, you're going to get six different answers. Actually, there are four or five officially accepted views. I'm on a Bible study group with some of the Bible research institutes back in Washington, and they have published some of the different views. There's about four, five prominent views, and they're all semi-orthodox. We don't know some things. You got to be careful not to just be dogmatic about certain things. But some things are... They're non-negotiable. And there are, you know, these truths, at least the ones that are described in the tennis topics, but there's more than that. So we're going to talk about those, and let me just review what the subjects where I need to cover this morning. I've got some that will help me read a few verses. I'm going to talk about salvation in Jesus, the second coming of Christ, Jesus' ministry in the heavenly sanctuary, the Sabbath, death and resurrection. Now these are highlighted in the lesson because there're some unique things that adventists believe, a little different from other Christians on these subjects. For example, first subject, salvation in Jesus. How are we unique? Well, in my opinion, there's a couple of extremes on the subject of salvation. One is the idea of, "once you're saved, you can't be lost.
" "Once saved, always saved," kind of calvinistic in its roots. And that springs out of a desire for people to have assurance of salvation because many of the anabaptists, or the people that believed in free will, they were always in doubt of their salvation. When you got those who have what we call sloppy agape, they're so enamored with grace that they never consider living a holy life. And you've got the other extreme that are pharisees, they're so preoccupied with their behavior that they have no peace and they're judging everybody. So do we have extremes in the teaching of salvation? We'd like to believe that adventists have a holistic view of being saved by grace. But at the same time, while you are not saved by your works, if you are saved, there will be works that are different. Jesus said, "you will know them by their fruits." And so there ought to be a difference in the life. Let's talk about some of those verses that sort of encompass what salvation is all about. The lesson gives us acts 4:8. Acts 4:8-12. "Then Peter, filled with the Holy Spirit, he said to them, 'rulers of the people and elders of Israel. If we this day are judged…'" bonnie always felt me, I need to button my suit when I'm up here. Well, you know what though? Something happened. My suit shrunk. They just don't make this fabric the way they used to. Overtime, if it hangs in your closet, it gets smaller. Anyway. I feel better now. So Peter filled with the Holy Spirit, he said to them... This takes place after Peter heals, acts, chapter 3, he heals the man, the crippled man at the beautiful gate, big crowd is gathered.
" Peter filled with the Holy Spirit, said to them, 'rulers of the people and elders of Israel. If we this day are being judged, for the good deed done to a helpless man, and by what means he has been made well, let it be known to you all, and to all the people of Israel, that by the name of Jesus Christ of nazareth, who you crucified, who God raised from the dead, by him this man stands here before you whole." This is the important part. "This is that stone which was rejected by you builders, which has become the chief cornerstone.'' Christ is the cornerstone of our faith. "'Nor is there salvation in any other…" we do not believe that Jesus is one of many ways to get to heaven, and your way may be buddha or krishna or muhammad, and my way is Jesus. The Bible doesn't give you those options. Bible says there is no other name given among men whereby we must be saved. There is no other name. There's no other... There's not option one, two, and three. Actually, that's part of my sermon later. So he says, "there is no other name by which we must be saved.'" Now will there be some people in heaven that may be didn't understand the Gospel? Will there be any people in foreign lands that never heard of missionary that could be saved? Yeah. You know, Jesus, he stood up and started teaching in nazareth, and he said, "there were many lepers in the land in the days of the Elisha, but none was healed but naaman." Not a jew. And then he said, "there were many widows in the land in the days of Elijah when the heavens were shut up during the famine, but the one that Elijah was sent to was not a jew." He was a phoenician, canaanite. That's what Jesus was saying. "Many will come from the east and the west, and we might be surprised, there will be some people in foreign lands through history that God spoke to through providence, his spirit, through angels. They accepted the little light that they had, they didn't have the Bible, they didn't have all the knowledge, but they tried to walk in the light they had, they may be in heaven." But they're not there because of their works, they're all there because of Jesus. Anyone there is there because of Jesus. You see what I'm saying? So that's one of the truths that we believe. John 3:36. "He who believes in The Son has everlasting life, he who does not believe in The Son shall not see life, but the wrath of God abides on him.
" We've got a couple of choices, believe and don't believe. Those were saved by what? By belief. It's by faith. Amen? That's one of the foundational teachings. Now in a moment, someone's going to read, acts 10:43. Hoftis, you'll have that. I'm going to read Romans 3:24 first, I'll read verse 25 too. Romans 3:24, 25. "Being justified freely by his grace." How do we find justification? Through our works or is it through grace? In goodness of God and the grace of God. "Being justified freely by his grace through the redemption that is in Jesus Christ, whom God has set forth as appropriation by his blood," we are forgiven. .. The blood of Christ provides a substitute appropriation for our sins because God's forbearance, he's passed over the sins that were previously committed. Now you know, I've kind of underlined that word, previously. Some people believe that once you accept Jesus that means you've got a free record to sin as much as you want in the future. Repentance is always addressing past sins. We don't come to the Lord and say, "Lord, I'm going to repent today because I plan on sinning tomorrow." That's called presumptuous sin, and that's sort of like premeditated murder, it's different from manslaughter. And so the Bible is pretty clear that God is providing forgiveness for your past mistakes. By his grace, you're hoping to live Godly in the future. You probably will sin, and then you repent if you fall. But God is not saying just plan now on sinning. You see the difference? All right. Go ahead and read for us please, acts 10:43. Acts 10:43. "To him all the prophets witness that, through his name, whoever believes in him will receive remission of sins." Through faith in Christ. It says here in acts, all the prophets testify of this. It's not like you've got one Gospel in the old testament and another one in the new. When acts chapter 10 was written, they only had the old testament. And all the Bible tells us that... Excuse me. It is through Christ we're going to receive the remission of sins and forgiveness. Go to 1 John 2:2. "And he himself," again, it says, "is the propitiation for our sins, and not for ours only but for the sins of the whole world." In other words, he didn't just die for jews. He died for jews and for gentiles. And again, 1 John 4:9. I got to be careful not to use up all our time talking about salvation 'cause we have a lot to cover. 1 John 4:9, 10. "This is the love of God that was manifested toward us, in that God sent his only begotten son into the world that we might live through him. This is love. In this is love, not that we loved God, but that he loved us," says, he loved us first, "and he sent his son to be the propitiation for our sins." Jesus is the substitute. He died in our place. Bible says that, "he took our weakness, gives us his strength. He took the penalty of our death, he gives us his life. He took our sin, he offers us his holiness." It's the great exchange that the Lord makes through, for us. And then, yeah, 1 Peter 2:21. "For to this you were called, because Christ also suffered for us, leaving us an example, that you should follow in his steps.
" So why did Jesus come? Three reasons. One, says he gave us an example to live as he lives. He says, "you should forgive each other as I've forgiven you." Christ is an example. Two, he is to reflect The Father, he is to show us what God is like. He said, "if you've seen me, you've seen The Father.
" And the third reason Christ came was as a substitute, propitiation for our sins, our sacrifice through his blood. So Jesus is our example. He is a demonstration of The Father, and then Christ is our substitute. Okay? So this is what we believe about salvation. Now we don't believe that once you're saved, you can't be lost. We believe that being saved is a daily experience. "Give us this day, our daily bread." We surrender to him day-by-day. And Paul says, "I die daily." That means you're born again every day. Now, yeah, there is a moment when you surrender to Christ and you have the new birth, but then you renew that with the Lord. You need to continually feed your soul and renew that relationship. How many of you out there know that for a love relationship to nourish, it needs ongoing quality time? Isn't that right? It's that way with the Lord too. It's an ongoing relationship. This idea that you say a prayer when you're 10 years old, and you come forward when the pastor gives an invitation, and you're saved, then you walk out the doors of church, you leave for the world, and no matter what you do, you're still saved. It's not true. Some churches believe that. That's not true. Bible says, "you'll know them by their works." Are there examples in the Bible that people that seem to be spirit filled that ultimately were lost? They turned away. Who are they? Was Saul at one point spirit filled? Yeah. King Saul. How about balaam? Was he a prophet? But he coveted after money, and he ultimately was lost. Solomon? And Solomon, well, Solomon will be saved in the end. He repented in the ecclesiastics. But you're right, he was saved. And then he was very lost for a while, and he turned back to God. And then you're having. .. That's also true with manasseh. Well, manasseh was never saved but he had later repented. Was Judas ever given the Holy Spirit? Did Jesus send out the apostles doing miracles? Did they all come back and say, "even the devils are subject to us." So Judas was, he was out doing the work. But he grieved away the Holy Spirit. So you've got to be careful not to think that once you're saved that's all that is. You need to maintain your relationship with the Lord. All right. Second coming. Seventh-day Adventists are Christians that may have a unique belief on the second coming from some. Now there are three are principal views on prophecy let's take Revelation, for instance. You've got preterism, historicism, futurism. It's very simple. It means past, history, future. Some people read the book of Revelation, and they say, "it's all in the past. It all happened back during the time of John, and nero, and Paul. And once that first group of apostles died, Revelation was done." Then, you got futurists. That's your left behind group. They believe that from Revelation chapter 4 on, it's all in the future. And that trumpet being blown there in Revelation 4, that's the secret rapture, and we'll get to that in a second. And then you get the historicists and that's adventists. We believe like the protestant reformers. Spurgeon, wesley, luther, calvin, they all looked at prophecy as sort of a panorama of the church history, Revelation anyway, and even Daniel. This sort of gives a panorama of God's leading his people. It wasn't just all in the past or all in the future. And so adventists ascribe to that view. And that affects our view on the second coming. We do not believe in the secret rapture. Look at acts 1:11. In a moment, someone will read, Matthew 24:27, okay? "Who also said, 'men of Galilee,'" these angels were standing there when Jesus ascended, and they said, "men of Galilee, why do you stand and staring up into heaven? This same Jesus, who was taken up from you into heaven, will so come in like manner as you have seen him go into heaven.
'" How is Jesus coming back? As he went. Did they see him when he went? Will we see him when he comes? Yes. Was he real when he left? Will he be real when he comes? And so he left in the clouds, clouds of angels, he's coming in the clouds. John 14:3. Is Jesus coming? Christ said, "I go to prepare a place for you, and I will come again, it's real, and receive you to myself, that where I am, you might be also.
" Now notice. He's coming back to take us up when he comes. There is something you would call a rapture, but it's not a secret rapture. Why don't you go ahead and read your verse for us? Matthew 24:27, "for as the lightning comes from the east and flashes to the west, so also will the coming of The Son of man be." Yeah, Jesus is going out of his way to make it clear, it's not a secret. You read the previous verse. "Therefore if they say to you, 'look, he is in the desert!' Don't go. Look, he is in the inner rooms!' Don't believe it.'" If someone said, "oh, Christ is hiding," or, "he's up here," or "he's showed up on tv yesterday," nobody is going to have to text or email you and tell you when Jesus comes. Everybody is going to know when Jesus comes. It's going to be... He said. .. The brightest thing they had back then was lightning. It's still pretty bright today spanning from sky to sky, flashing. So everybody's going to know when Jesus comes. It's not going to be a secret. Matthew 24:36. Something important these days. "'But of that day and that hour no one knows, not even the angels of heaven, but my father only.'" Do we know better than to set dates? Do people still set dates? We're told not to do that. First of all, one reason is if you thought that you knew the date, you'd wait to get ready just like you wait till the last week before your tax returns, right? God wants us to be ready. And I remember a few years ago, some of you remember, the founder of family radio, harold camping. Our family radio has some good music and stuff. But harold camping, his theology was a little bit loopy. Several times he predicted the second coming, and last time, I think it was may 21, was it 2012, or something? I don't remember. But everybody got all worked up, and then of course, it doesn't happen. What happens to cynics or what happens to people who aren't fully grounded in their faith when people start setting dates and then they pass? Their faith is weakened. And so... And if Jesus said, "the angels don't even know," are you saying you're smarter than the angels? But I continue to meet people. I remember back in 1986, all the planets were lining up, everybody was telling me then, "this is it." You know, back in world war i, the church was saying, "this is it. It probably looked like it too, world war i. This is the end of the world.
" Then world war ii, and atomic weapons. And the church said, "this is it." And then more time went by. "This is it." Then they said the formation of Israel, 1948. They said, 40 years after, 1988, hal lindsey wrote a book, "the late, great planet earth." "The rapture is going to take place in 1981, second coming, 1988." They said, "this is it." And even some adventists thought that maybe at least 88, there'd be a second coming. And so, then, y2k. Anyone remember y2k? "This is it." You've got to be very careful for people that are out saying, "I have figured it out." And then there are people who said, "well, it'll be 2000 years from the birth of Christ." I kind of wondered about that myself. Well, that would have been 1996 because Jesus was born 4 b.c. And I said, "all right. Well that didn't happen." So then they thought, "well, maybe it'll be 2000 years." Then the next big thing is just saying, "2000 years from the baptism of Christ," or, "2000 years from the death of Christ," which would be 30 years after 1996, whatever that is. You see what I'm saying? You can continue setting dates. Now whenever you set a date, you know what my answer is? It could be later than you think because God is long suffering to us not willing that any should perish. He might wait longer. And it could be sooner than you think because the Bible said, "then the days will be shortened or no flesh would be saved," and he's going to cut the work short in righteousness. So whatever day you come up with, I can mix that date up. I can move it forward or move it back biblically. You see what I'm saying? But I'll tell you what Jesus said. "In such an hour as ye think not The Son of man comes." So please be careful when you say or run into someone who says, "I got it figured out now. I found the date for the second coming." But while we don't know the day or the hour, can we know when it's near. Yeah. And when he said day and hour, some people say, "well, that doesn't mean year.
" You can pick the year, just don't think pick the day and the hour. Or you can pick the month, don't pick the day and the hour. Jesus said, "day and hour." He said, "don't be picking times." But we can know when it's near based on general signs, you see, and I see those signs happening now. Gospel being preached in all the world is one of them. The increase of knowledge is another one. Look at how the world has changed in one generation. All right. So adventists believe in the imminent return of Jesus. And you know, I'm going to look at all, I got to cover, I better skip that verse. Let's talk about Jesus' ministry in the heavenly sanctuary. Oh, yeah, one more thing about Christ coming not being a secret. Revelation 1:7, "behold, he comes in the clouds, and every eye will see him, then shall all the tribes of the earth mourn and they will see The Son of man." Is it a secret or do we all see it? But what about Pastor Doug where it says, he's coming like a thief. Yes, he is coming like a thief, but it's not a secret, read the whole verse. 2 Peter chapter 3, "behold the day of the Lord come as a thief in the night, in which the heavens pass away with a great noise." He's coming like a thief but everyone knows about it. It means it's a surprise. "The elements melt with fervent heat." So there's a great noise and the elements are melting. Is that a secret? No, it's a surprise. That's why he said as a thief. So yeah, don't be mixed up by that. All right. Jesus' ministry in this heavenly sanctuary. Sometimes this is called the pre-advent judgment. And we're one of the only churches that really teaches this but it makes sense. How many here agree that when Christ comes, that he is dispensing rewards immediately upon his return? Doesn't the Bible say he comes of the clouds, he'll reward every man according to his works? Obviously, when he comes, some will be destroyed by the brightness of his coming. That's a reward, not a good one. Others will be caught up to meet him in the air. That's a good reward. So if those things are determined when he comes, is there some investigation prior to his coming? Yeah. That's what you call the pre-advent judgment, something that's going on. When did that begin? Well, prophetically, if you read in Daniel chapter 8, it talks about the beast power that would cast the truth to the ground, there'd be a great time of darkness and confusion that would even come to God's people. The prophets of God would prophesize with their light obscured by sackcloth. The truth was going to be obscured. But then there'd be a great revival movement in the end, the last day of the church sometimes known as the age of laodicea, God would raise up a people, and he'd begin cleansing the sanctuary in heaven and the sanctuary on earth. Now first of all, does God have a sanctuary in heaven? Well, read in Exodus 25:8. "Let them make me a sanctuary, that I might dwell among them according to all that I show you," God showed Moses a pattern, "that is the pattern of the tabernacle and the pattern in all its furnishings.
" It was a miniature of a very real sanctuary God has in heaven. How do you know that? You read in Revelation. "I saw the temple of God open in heaven." God says he has a sanctuary in heaven. Bible says, "Christ is our high priest." I'm getting ahead of myself. Someone's going to read Hebrews 8:1, 2. John, go ahead. Hebrews 8:1, 2. "Now this is the main point of the things we are saying. We have such a high priest, who is seated at the right hand of the throne of the majesty in the heavens, a minister of the sanctuary and of the true tabernacle which the Lord erected, and not man." The Bible says it's real. It's a true tabernacle, it's a real dwelling place. The earthly model was facsimile, it was a miniature. On the earthly model, when you went into the holy of holies, there were engravings of angels on the walls. Is God surrounded by gold wallpaper in heaven or are there living wall of angels that surround him? On the earthly tabernacle, on the ark of the covenant, they call that the mercy seat, it was a symbol for the dwelling place of the throne of God, there were two golden angels. Does God sit next to two golden statues of angels? Or does... Do you read in Isaiah chapter 6, that there are two living in the seraphim by God in heaven? So the earthly, it's a small imperfect model of a very real dwelling place. The earthly high priest, when he comes in before the altar, and he'd sprinkled the blood, is there somebody in heaven sprinkling lamb's blood before God or is it Jesus pleading his own blood before The Father as our high priest? So this is very real. And when we pray by face now, we don't have to go to God through a local priest. It says, "we can each boldly come before The Father through Jesus who is our high priest." It sounds wonderful when you think of it that you can have a personal audience with God through Christ's blood. When I close my mind and I'm praying, I'm asking God to forgive my sins. In my mind's eye, I actually see Christ spreading his nail pierced hands before The Father in a very real place. This is something that's happened. So you get the sanctuary teaching. Now in the Jewish year, they would symbolically store the sins of the people through the blood of the goats and the lambs in the bowls that were sacrificed in the temple. And at the end of the year, they had a time of judgment and cleansing where the people would especially repent, and fast, and humble themselves before the Lord because God was about to meet them and separate them from their sins through the day of atonement, yom kippur, that's what they call it. That began on a prophetic scale. If Christ is ministering as our high priest daily in the last phase of the church which is the church of laodicea... You know what laodicea means? Judging of the people. Christ entered into his final work. Now not only did he begin the cleansing of the sanctuary in heaven, before he comes, there's going to be a separation of sin from the people of God before he returns. Bible says, "he is coming without sin unto salvation.
" He is not coming forever as a sin-bearer. And so not only is there sanctuary in heaven but does God have a sanctuary on earth? Does God still have a sanctuary on earth? Where is it? We are. Is there a Scripture for that? Yeah, let's hope or else not teach it. Jesus said, "destroy this temple made with hands, and in three days, I will make one without hands." He spoke of his body, the church is called the body of Christ. The Bible said, "what know ye not that ye are the temple of the Holy Spirit.
" One place, Paul says, "what don't you know that your body is a temple, but you collectively are a body, and we are different parts of the body of Christ, and you are living in stones built on the cornerstone to make a dwelling place for God." There's a lot of Scripture which says God still has a temple on earth. It's his people, and he inhabits his church. So not only did he begin cleansing in 1844, the sanctuary in heaven, but did something happen to the church on earth in 1844? What was the problem in Daniel? TRuth was cast to the ground. Did God begin to restore the lost truths to a remnant in 1844? Do you know before 1844 was over? It's a very interesting year. First electronic message, 1844. And that was robert morse. He sent, "what has God wrought?" As morse code. Karl marx, I think that's when he completed his manifest, and communism was born. And darwin wrote his thesis on the beagle in 1844. I mean, this was all the stuff that was happening, stuff was happening in heaven and stuff was happening on earth that year. And that year, God got Christians together from many different churches. There were methodists and baptists and presbyterians and Christians in all different churches. And when Christ didn't come through, there's great disappointment, the millerite movement. They came together, they said, "let's find out what the Bible really says. Obviously we misunderstood some stuff.
" They realize they were wrong about baptism that it was to be by immersion. They realize they were wrong about salvation. It was to be by grace, and it was to be a maintained relationship. They learned the Sabbath truth, the Ten Commandments were still in effect, they were not optional. They learned the truth about our bodies being the temple of the Holy Spirit all in that year. Now Ellen white didn't get her health message until later, but Joseph bates was sharing the health message in 1844. They called that the temperance movement back then. In that year, everything started coming together. God began cleansing the people on earth. Is he done yet? When he's done, he's coming. And when he's done in heaven, he's coming. But we're living in that time of final cleansing. It's the time when we should be seeking after genuine biblical holiness. Amen? So you get the sanctuary message. And because of that, Hebrews 7:25, "therefore he is able to save to the uttermost those who come to God through him, since he always lives to make intercession for them.
" Christ is our great high priest. Do you see that in the Bible? Yeah? Okay, want to make sure. Bible is very clear, Christ is our high priest. Then you got the Sabbath. Now, lot of churches believe in weekly worship in a special way, but. .. And some even call Sunday, the Sabbath. But Seventh-day Adventists realized it's not a seventh day. Does the commandment say keep a seventh day or does it says keep the seventh day? How different is that? If I tell you to bring me some medicine, you could bring me some aspirin. But I might be dying for need of a particular medicine. So I would say bring me the medicine, and you know there is a specific prescription. When God says the seventh day is the Sabbath of the Lord, and that's what he says, that specific. Adventists realized, "you know, he blessed a particular day. We don't get to pick the day." God says, "he blesses it." He wants us to remember the day that he blessed. And we receive the blessing if we keep the day he blessed. And it's a commandment. He doesn't say, "you know, if you're in the mood." This is a commandment from God. Just like the commandment says, "don't kill." It's that important. So adventists realized, "hey, we're going to do it the way God says and the way that Jesus did it." So there's the Sabbath truth, that's something unique that we take a stand, and we're not kind of... You know, I meet people all the time. They go to other churches and say Pastor Doug, we believe salvation like you. I've had people come to me, I go to these religious broadcaster meetings, and I meet Christians from all different faith. And they'll come up, they'll say, "Pastor Doug, I've been watching your programs. I'm a vegetarian now." It's like they're afraid for anyone to find out. And I've had them come up, and they go, "Pastor Doug, I believe just like you on health.
" And a number of other things, but you know what's one of the hardest things is the Sabbath, why? Because once you announced to your fellow church members, if you say to them, "you know, I believe a little different. I'm a vegetarian." They'll say, "great, good for you." If you say to him, "you know, I don't believe hell burns forever and ever, but I believe the wicked are burnt up in hell," most churches will not disfellowship you for that, and some baptist churches might. But a lot of good theologians believe in eternal destruction, and that the soul is not conscious after they're destroyed. So that's almost acceptable now. But once you say to your friends in your Sunday church, "I am now going to keep the Sabbath. Will you join me tomorrow or the day before?" They go, "ah, we're going to have to go separate ways." It's sort of is a… it's a device of teaching because people often have to become part of a different congregation. And sometimes, they have to change their work schedule, maybe even threatens their job. It's a real test in truth. A lot of churches believe tithe like we do. Some don't, some believe that's just an old testament law. But some do. But you know, couple of things that really make us stand out are our belief on the sanctuary and the Sabbath. And God says, Ezekiel 20:12, "moreover I gave them my Sabbaths, to be a sign between me and them, that they might know that I am the Lord that sanctifies them." And you read in verse 20. It's a sign that God creates us. Exodus chapter 20. "For in six days, the Lord made the heaven and the earth." Every Sabbath day, it's a memorial that he sanctifies, and he creates. Now how many of us need sanctification? How many of us need recreation? "I will create a new heart within you." Isn't that the new birth? Old things are passed away. All things are made create a new. Every Sabbath, we're remembering that he's the one who gives us the new birth. How many of you want to live in a world made new? Every Sabbath, we remember, in six days, he made the. .. He's going to make a new heavens and a new earth. Are we living in a world that believes in evolution? A lot of secular people believe that we've evolved, there's no purpose of life. Every Sabbath, they were saying, "ah, no, I don’t believe that." I believe that God made it in six literal days. And so, it is a very distinctive, deciding. .. Sometimes, it's a bellwether doctrine you might say. All right. So there's some unique things. We're united in our belief on the Sabbath. Amen? And another thing we're united on, and this is the last section, is the death and resurrection teaching. Now in many churches, they believe that when you die, you immediately go to heaven, or if you're lost, you go to hell. Adventists studied that out and said that's not biblical. For one thing, the Bible is very clear that rewards are given after Jesus comes. The judgment is still future. We all agree with that? The great judgment day, the day of the Lord is still future. To give people their rewards before the judgment, before the return of the Lord, there is a problem with that. What confuses people is it's just a few verses. On the cross, Jesus says to the thief, "verily I say to you, today you'll be with me in paradise." They say, "well, he must have died and gone right to paradise with Jesus that day." We know that the Greek had no punctuation. Jesus didn't say that. He said, "verily I say to you today, you're going to be with me in paradise." The emphasis is, "I'm telling you today though I don't look like a Lord and a king." He just said, "Lord, remember me when you come in your kingdom." "Though I don't look like a Lord and a king, I'm telling you today, you will be there." When? When the dead rise. Not that day. How do we know that? Jesus didn't go to paradise that day. Sunday morning, he tells mary, "I've not yet ascended to my father." That's Sunday, Jesus died Friday. So that's one doctrine makes it clear. Then you've got the one, "absent from the body, present with the Lord." People read that and they think, "there you have it. As soon as you die, you go right to the presence of the Lord." Well, it's true, but they misunderstand the dimension of time. For a believer, when they die, their next conscious thought is the presence of the Lord, the resurrection, right? But they're not there yet. How do you know? Is king David saved or lost, good king David? That's a tip. Good king David. Is he saved? The one who killed Goliath. You read in acts chapter 2, Peter says, "David is dead and buried and not ascended to heaven. His grave is with us to this day." How much more clear can you be? When will he rise? When the Lord descends from heaven with a shout, then the dead in Christ will rise. For David to be absent from the body is to be present with the Lord 'cause the next thing David knows is the resurrection. That also means nobody's burning in hell right now. And that ought to bring some people great relief. You know, there have been parents that have been driven literally insane because they had one or more children that died in what appeared to be an unsaved condition, and these parents were taught all their lives that if you die unsaved, that you're cast in a burning sulfur and brimstone torture chamber where you will there suffer through the ceaseless ages of time as long as God shall last, you will be burning. Now if you're a parent, and you love your kids, and all of a sudden they die, and you think they're lost, and that immediately they're burning. What does that do to you mentally? That would be torment for a parent to think my child died lost and they are burning right now. How much better, what they used to put on the cemetery graves, r-i-p, rest in peace. Whether you're saved or you're lost, you're asleep. Now what did Jesus say to Lazarus or he said about Lazarus? My friend Lazarus is asleep. Is it all good? You'll get better if you sleep in Jesus? No, he's dead. Jesus called death, sleep. That's why it said, "many that sleep in the dust of the earth shall awake.
" Hasn't happened yet. Let me give you some verses, I've just been kind of rambling. I gave you, I guess, verses while I was rambling. Look at 1 Corinthians 15:51. "Behold, I tell you a mystery. We will not all sleep, but we will be changed in a moment, in the twinkling of an eye, at the last trumpet." When does it happen? Transformation is in. We'll be sleeping until then. Some of you been awakened by an alarm clock. Karen had her apple phone went off this morning, it woke us both up. And Jesus again used a trumpet alarm. "For the trumpet will sound, and the dead will be raised incorruptible, and we will be changed," even glorified bodies, "for this corruptible," that means bodies get old and decay, "will put on an incorruptible body, the mortal will put on immortality." Now, if you have any doubts, I'm going to go back a few verses. If you have any doubts about when this is going to happen and how it's going to happen, look at this. 1 Corinthians 15:21, "for since by man came death, by man also came the resurrection of the dead." Jesus became a man to provide that. "For as in adam all die," we've all kind of inherited the sinful dna of adam, "even so in Christ shall all believers be made alive." There's even unbelievers were made alive after the lamb. "Each one in his own order," now he's going to give the order of when they're made alive. Notice. "Christ, the firstfruits," Jesus rose, "afterword those who are Christ's at his coming." How do people misunderstand that? The resurrection of Christians happens at his coming. And if that's not clear, 1 Thessalonians 4:13, "but beloved, I don't want you to be ignorant, concerning those who have fallen asleep." See Paul had this problem even back in his day. People in the church were ignorant about what happened. "Lest you sorrow as others that have no hope.
" Praise God, Christians don't mourn as those atheists. Boy, how sad when someone goes to a funeral of an atheist or an atheist goes to another atheist's funeral. No hope of ever seeing them again. It says we don't need to be ignorant. "For if we believe that Jesus died and rose again which we do, even so God will bring with him those who sleep in Jesus.
" How do they get to be with Jesus? He explains it. "For this we say to you by the word of the Lord, that we who are alive and remain until the coming of the Lord will by no means precede," that means we don't go before, "those who are asleep. For the Lord himself will descend from heaven with a shout, with the voice of the archangel, the trumpet, there's a trumpet again of God. The dead in Christ will rise first." So as the Lord sweeps around the world, first, the dead in Christ rise, they get their glorified bodies, we just read about in 1 Corinthians. "Then those of us who are alive and remain will be caught up together," so they are there with him when we get there to meet them in the air, "thus we will always be with the Lord. Therefore comfort one another with these words." The Bible is so clear that the resurrection has not happened yet, and that nobody is burning in hell now, and people do not burn in hell forever and ever and ever. The Bible says, they are consumed, they perish, they are burnt up, they're devoured, never will they be any more, there's no more pain, all things are made new." You look at the Scriptures and it's pretty clear that God does not have an eternal torture chamber. And just think about the injustice of that that you'd have these creatures that are born with sinful natures, they are already prone to sin, and the God will say, "if you don't love my son, you don't love me, I'm going to burn you forever and ever." And for one life time. How long? That means like a 13 year-old boy, who dies lost, let's assume he's past the age of accountability, God is going to burn him forever and ever for the sins of that one lifetime. Oh, just think about how… what does that make God look like? Makes him look sadistic, doesn't it? But the Bible says that God is going to wipe away every tear. There's nobody screaming and shrieking through eternity. So, yes, this is a doctrine that separates adventists from some popular churches that believe a mythological view of hell, that the church concocted to scare people into giving money and coming to church. And so, I'm so thankful for these truths that unite us. Amen? Anyway, I hope we learned something, we're out of time. I want to remind our friends, we have a very special, this is a premium offer, premium upgrade offer. It's a beautiful color magazine and it's great for sharing. Read it. It talks about hidden truths, some of these hidden truths just like the ones we talked about. Highlights seven of the hidden doctrines many churches don't understand, and all you've got to do is ask for offer number 832. To get a free copy, call 866-788-3966. That's 866-study-more, and we'll send that to you, do share with a friend. God bless you and thank you for studying with us. We look forward to doing this again together next week. Don't forget to request today's life changing free resource. Not only can you receive this free gift in the mail, you can download a digital copy straight to your computer or mobile device. To get your digital copy of today's free gift, simply text the keyword on your screen to 40544, or visit the web address shown on your screen, and be sure to select that digital download option on the request page. It's now easier than ever for you to study God's Word with Amazing Facts wherever and whenever you want, and most important, to share it with others. Let's face it. It's not always easy to understand everything you read in the Bible. With over 700,000 words contained in 66 books, the Bible can generate a lot of questions. To get biblical straightforward answers, call into Bible answers live, a live nationwide call in radio program where you can talk to Pastor Doug Batchelor, and ask him your most difficult Bible questions. For times and stations in your area, or to listen to answers online, visit bal.amazingfacts.org. My parents got divorced when I was three or four, and then, I was basically unchurched most of my life. I had a girlfriend in high school telling me that she had to break up with me because I wasn't a Christian. I thought that's weird, I believe in God, why would she say that? Not realizing I was living a horrible life with foul language, was mean, and other stuff. And that kind of challenged me initially, and then my dad, 9/11 woke him up. He wasn't ready to meet his Lord though he was a man that I valued in. I knew he loved me, didn't doubt that. But he just knew he needed more. So he started watching tv ministries first. Baptist preachers, and others, and he was kind of intrigued by what he was learning, and so when he turned me on to this television station, first thing that I got access to was Doug Batchelor's most amazing prophecies series he did in berrien springs, Michigan. And I remember when I first watched this, my background was baptistish of sorts, but I remember when I first watched the series, I remember thinking I've never heard that before about the state of the dead, or about the Sabbath, or the commandments, or the rapture, other things. I remember thinking to myself, I've never heard that before, but that's what the text says, and that kept happening, and I had this experience of just wondering like, "well, what else have I believed that isn't as it is, you know?" And the more I watched, the more helpful it became. But again, he kind of took a different perspective on the messages. It was fresh to me, but I just. .. These things I had never heard before, and I just realized like, "there's so much stuff in the Bible that no one's talking about and that people need to know." And so I ended up in this awkward situation that some of my friends who didn't believe what I was coming to believe, I didn't know how to communicate with them, and so one of the things that helped me initially was the Sabbathtruth.com website, the truth about hell.com, and the truth about death. And some of those resource websites that Amazing Facts had put together, that were just full of resources. If I needed an answer to something that someone brought up, there would be a 95% chance that Amazing Facts would have something that I could use. It makes witnessing even easier in that sense. The Amazing Facts prophecy study Bible was my first real Bible that I had of a more trusted translation. The Bible study guides were on the back of it and lot of other resources that were helpful. If you can hand a book to somebody and you can pick up a phone and call Amazing Facts, you have everything you need. And so I was just printing off stuff and handing it to people, you know, like, here's what I'm coming to realize, this is true, it's in the Bible. And it was a huge blessing to me, and a real help just to kind of help me to better understand what the message was, and understand it for myself, and have resources to put in the hands of the other people, it was invaluable. Some time went by, I eventually went to school of evangelism, and was baptized. And then I had this amazing opportunity that after being in the ministry for about 5 or 6 years, Doug Batchelor was going to be the main speaker at youth events, and I was actually going to be doing a similar at this youth event. And it was just this amazing kind of full circle experience that the first person that I came in contact within adventism, to hear the message to have it make sense, to be able to do ministry together with him in whatever role possible just meant the world to me, and to be able to tell him my story and tell him thank you was invaluable. And so God just gave me a precious gift and afforded an opportunity and I'll never forget that. My name is dee. Thank you for changing my life. So what is the brightest light in the world? Well, naturally, you would say the sun. But we're talking about the brightest man-made light in the world. It's the light that shines out of the roof of that pyramid shaped hotel in las vegas called the luxor. There in the cap of that hotel, there is a room that contains 39 washing machines size xenon bulbs, and each of those bulbs requires about 7000 watts, altogether they produce about 40 billion candlepower of light. Can you imagine getting that electric bill of the luxor hotel every month? That light is so bright that planes can see it 250 miles away. They are shooting light 10 miles up into space, meaning if you happen to be floating by, you can read a newspaper up there. And as you might have guessed that bright light has become the world's best bug attractor. Bringing in moths, bats and owls creating its own ecosystem there at night above the hotel. But the sad thing about the brightest light in the world is especially when the night air is clear without any particles, the light doesn't hit anything and it's invisible, it shoots up into empty space. The brightest light in the world illuminates nothing. You know, the Bible tells us that there's another great wasted light, and that's the light of God's Word. It says in psalm 119:105, "thy word is a lamp unto my feet and a light unto my path." And yet so many people are walking in darkness. Furthermore, Jesus said, "if you do have that light, make sure you don't put it under a bushel, but you let it shine and illuminate the lives of others. Jesus said in Matthew 5, "set your light up on a hill like a city so that all might see it.
" Light only benefits others when it reflects off of something. God wants our lights to illuminate the lives of others. So are you glowing for God? Remember, Jesus said, "let there be light."